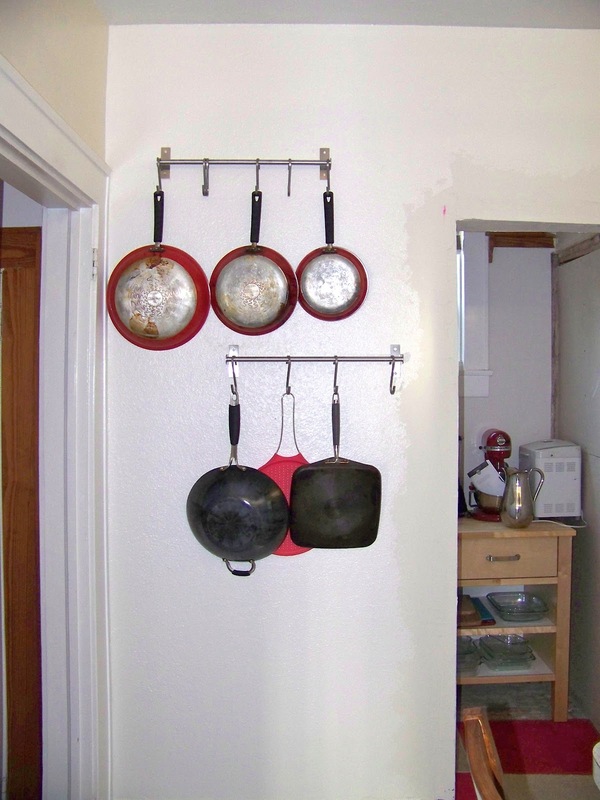 was the pot rack that we had in the little awkward hallway connecting the kitchen and office. We really like having pot racks since we use the pots and pans so often, but the current pot rack stuck out too far to really be placed anywhere in the kitchen (you would bump into it). We had some really nice low profile racks in an apartment awhile back so I headed off to Ikea to see if I could find something similar. After looking around for awhile (I can waste multiple hours in Ikea) I came home with a couple of towel racks and some heavy duty S-hooks. 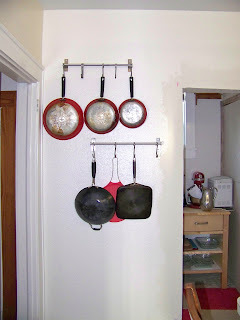 After hanging them up, the wall to the right of the pantry became our new pot rack station! We're really happy we didn't have to lose the pot racks all together and these are much sturdier and more convient then our old one. 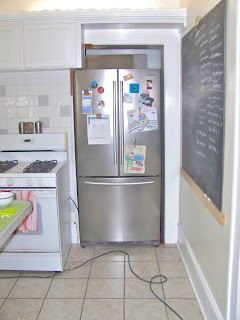 Now if we could just get the pantry finished! We are still waiting on supplies to come in so we are at the mercy of the Ace Hardware Superstore shipping. We have made some progress in the back entrance way so you'll get filled in on that soon!